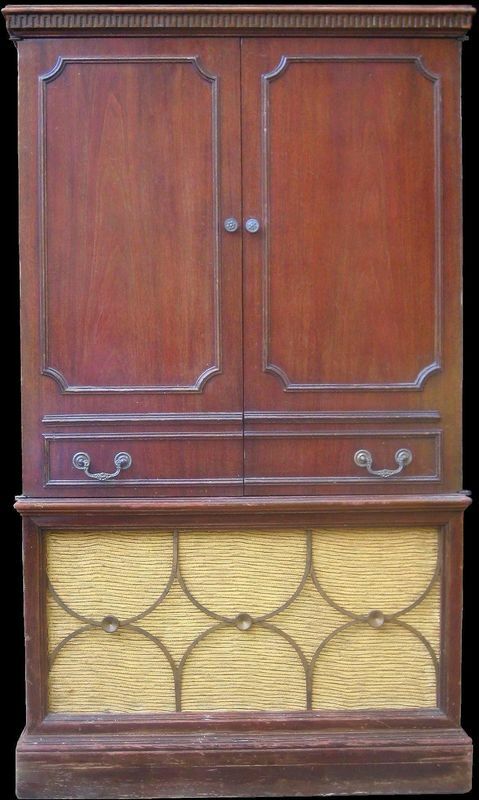 One of the oldest names in radio, Freed-Eisemann first sold TV sets in the mechanical era. 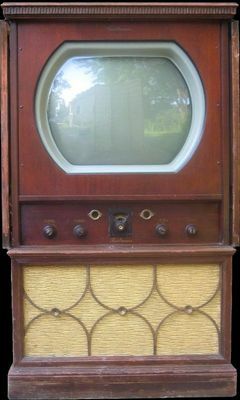 They re-entered the TV market in 1949 concentrating on big (16") screen receivers at a time when 10" consoles were still common. The following year they offered several 19" models. Because of the shape of this set's cabinet, it's difficult to get a proper sense of scale from the pictures. In fact, it came as a surprise to discover that the tube was indeed 19" and not 16" even after being given cabinet measurements. This set is just barely shy of four feet tall and weighs approximately ten tons.